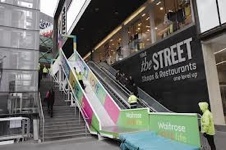 Waitrose has been encouraging consumers to ‘horse around’ (been waiting for a good opportunity to write that) on its ‘Love Life‘ slide, which was installed at Westfield Stratford City shopping centre last weekend. Named after the supermarket’s range of ‘good for you’ food, it offered people a fun alternative to walking down the escalators in East London. At a time when the the UK’s obesity levels are bursting at the seams – currently one in four adults are classified as obese – it’s vital that well-known brands are seen to be doing their bit. Aside from the Government’s Public Health Responsibility Deal and latest Change4Life push, companies must help communicate that adopting a healthy lifestyle is vital to our survival. OK. The mechanics of this PR stunt doesn’t jump out on paper but it’s a good alternative to get the message home (when accompanied by the fact that in January people are looking for a little ‘pick me up’.) 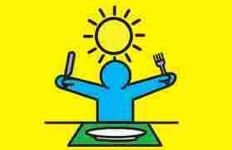 Creative campaigns, to hammer home healthy eating, are key to stand out in the media and resonate with consumers. After all, no one enjoys being repeatedly told they need to move from their armchair and eat more carrots. You get my drift. Up to 3,000 people were made aware of Waitrose’s healthy eating scheme and many more children will experience it now that plans have been made to relocate the slide to a playground in East London. Seen other good examples of brands celebrating healthy eating recently? Last year my client – Unilever Food Solutions – had a vibrant campaign idea to transform an ambulance into a unique ‘Ambu-lunch‘. Why not leave a comment with others?